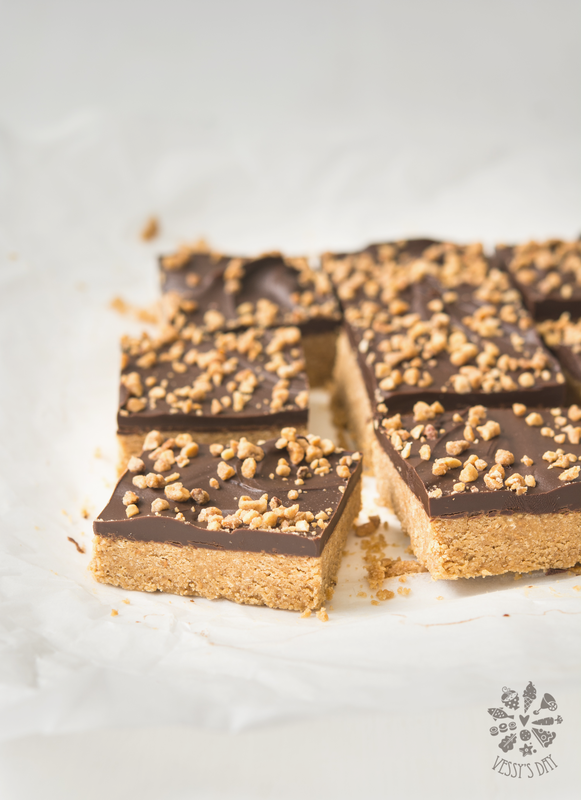 This recipe is easy to make, no-bake and basically ready in 10 minutes. 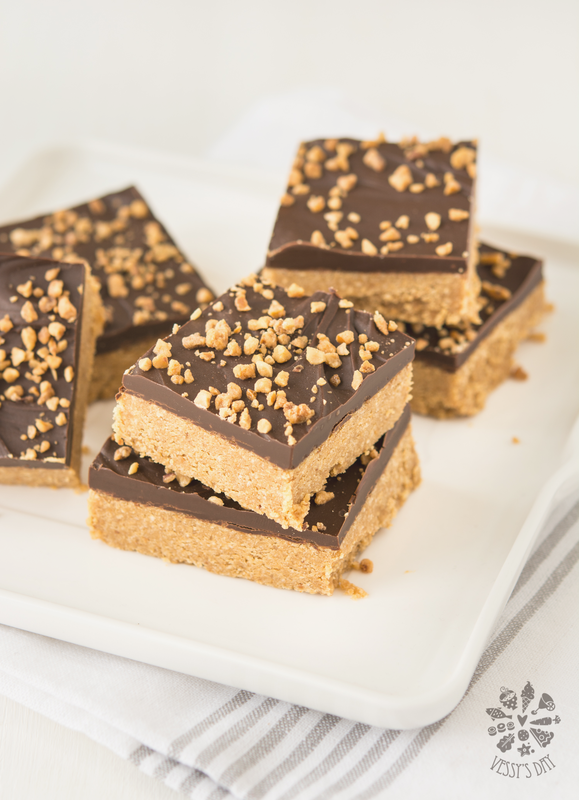 If you love peanut butter and chocolate, then you have to try these delicious peanut butter bars. They are great pretty sweet, so they would go perfectly with a cup of coffee, or you can pack them for a day at the park. They are a great after dinner dessert, that you can make a day or two ahead, believe me, they will taste as good as if just made. The best of all is that you can store them in the fridge up to 2 weeks, although I am sure they will be eaten pretty much the day you make them. I would recommend to use dark chocolate for this recipe. The base is very sweet, so dark chocolate balances the sweetness perfectly. I used chocolate with 60% cocoa. 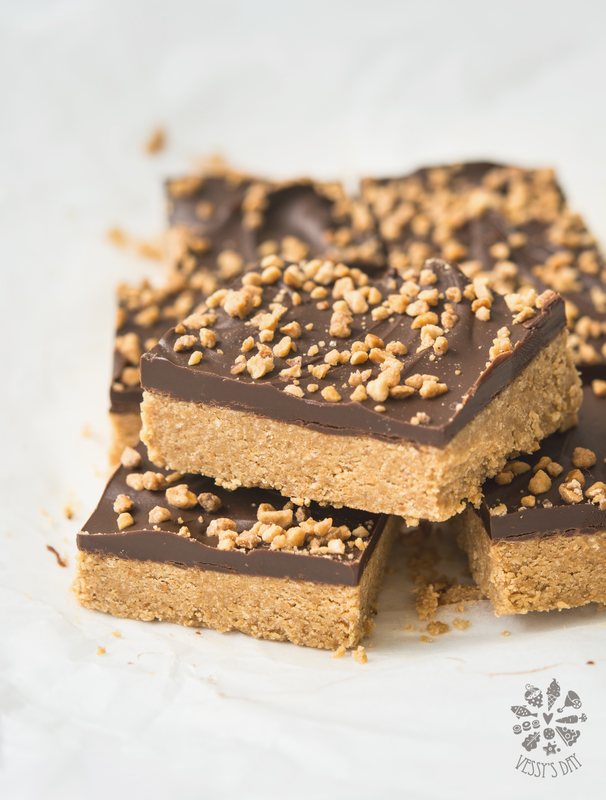 If you are not totally convinced about the peanut butter and chocolate, you can check out one of my favorite recipes for no-bake bars – Coconut dulce de leche bars. In case you don’t mind turning the oven on, then you could as well try these beautiful and delicious strawberry bars. In a small bowl combine butter and peanut butter. Heat over medium heat until butter melts and peanut butter softens. Stir to combine. In another bowl add cracker crumbs or biscuits and sugar, pour peanut butter mixture and stir to combine or until it resembles moist sand. Cover a small baking dish or a deeper tray with baking paper (8×8 inch/20x20cm). Pour the biscuit mixture and even out with a spoon by pressing it tightly to the sides and bottom of the tray. Melt chocolate and butter together, then pour over the biscuit base and even out with a spoon. Sprinkle some caramelized peanuts on top or shredded chocolate. Place in the fridge for a few hours to firm.